Europe is more than a single continent. It’s politically, economically and culturally diverse. We think this offers a lot of opportunity for investors. From Norway and Sweden in Northern Europe to Spain and Italy in the South, each area has its own success stories. Europe’s had its fair share of problems in recent years, but there are reasons to be positive. The region is home to lots of businesses that make money from across the globe. This means they have the chance to be successful, no matter what’s going on in the wider economic or political environment. There are also lots of quality fund managers investing in Europe with great track records. Most focus on larger companies. Some invest in small and medium-sized companies. These offer greater growth potential, but they’re higher risk than larger firms. Most European funds aim to grow your investment, but there’s an increasing number of funds that focus on dividend-paying companies in order to pay investors a regular income. Europe’s overcome a lot of problems in recent years. But it’s not out of the woods just yet. Debt levels for both governments and individuals are very high, and some Eurozone banks have been close to failing. We usually think investors should ignore economic news and focus on the prospects for individual companies. In the short term, changes in the economy and investor sentiment affect how the stock market performs. But over the long run share prices are driven by how successful businesses are and earnings growth. Trying to time markets or second guess the effect of economic news has little impact on investment success over the long term. We think most long-term growth portfolios should have at least some exposure to Europe. It means you’ll invest in some of the world’s most successful companies. Some of these carry out business worldwide, so they provide exposure to global markets, including faster-growing economies. Our analysis shows European stock markets offer good value. This means the shares of some companies can be bought at a price that’s lower than their expected growth potential. There are a number of successful managers in this sector and our favourites feature on the Wealth 50. Alternatively, you could consider the HL Multi-Manager European Fund. 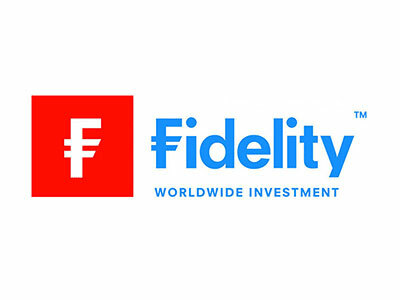 It invests in our favourite European funds in a single investment. It’s looked after by a team of investment experts, so there are additional charges with running a multi-manager fund. The fund is managed by our sister company, HL Fund Managers. It’s been a volatile year for the European stock market. It fell 4.6%* over the year to the end of November 2018. Investors were unsettled by political uncertainty in June, when an attempt to form a coalition government in Italy fell through. Turkey’s spat with the US and a sharp decline in the Lira also didn’t help. Europe, like many other countries, has also been affected by the potential for a global trade war. The shares of European smaller companies initially performed much better than larger firms, but have fallen further in recent months. They tend to do worse when investors are less confident about the economy’s prospects. Past performance isn’t a guide to future returns though. Past performance is not a guide to future returns. Source: *Lipper IM, correct at 30/11/2018. European stock markets have performed well over the long run. Bigger events, such as the 2008 financial crisis and the 2011 Greek debt crisis, have caused setbacks along the way. But many companies have come back fighting fit and over the past five years the broad European stock market has grown 41.7%. We’re not complacent about the issues facing Europe. But over the long term we think investors will be rewarded for their patience as there will always be companies strong enough to beat economic problems. We like fund managers able to identify and invest in these opportunities over the long run. Past performance is not a guide to future returns. Source: Lipper IM, correct at 30/11/2018. We regularly review all the main investment sectors. Here we provide comments on our favourite funds in the European sectors. They're provided for your interest but not a guide to how you should invest. If you're unsure if an investment suits your circumstances seek personal advice. Comments are correct as at December 2018. For more information on the risks, please refer to the Key Investor Information Document for the specific fund. Remember all investments can fall as well as rise in value so you could get back less than you invest. Past performance is not a guide to the future. This fund focuses on higher-risk small and medium-sized companies. We think it offers something different to a lot of other European funds that focus on larger businesses. The fund performed in line with the average fund in the sector over the past year. One of its strongest investments was in Wirecard, a payment processing company. Nick Williams, the fund’s manager, took this as an opportunity to sell the investment and take some profits. He doesn’t think it offers the same growth potential as it used to. He’s built an exceptional long-term track record on this fund and he also has a good team of investors working with him. They’re strict in the way they run the fund and this has worked well over the long run. Past performance shouldn’t be seen as a guide to the future though. Richard Pease likes companies with a niche product or service, which makes it harder for other companies to compete with them. He invests in companies of all sizes, including higher-risk smaller companies. Richard Pease has built an outstanding reputation investing in European shares and we like his unique investment approach: he looks for opportunities off the beaten track, which may have been overlooked or misunderstood by other investors. This year’s been tougher for the fund, but we’re encouraged by the manager’s longer-term track record. Our research shows he’s been able to identify companies with the best growth prospects. He’s used the same strategy to great effect for many years and we believe he has one of the best records of picking strong-performing stocks in the European sector. David Dudding’s investment style is fairly conservative. He likes high-quality companies he thinks can grow their earnings at a sustainable rate. He tends to invest in quite a small number of companies, which adds risk. David Dudding is a highly experienced investor in European shares. He also has the support of a strong European equity team at Threadneedle. The fund’s performed similarly to the broader European stock market over the past year. Investments in companies like Davide Campari-Milano, a drinks company, have recently helped performance. But chemicals company Brenntag has been weaker. A focus on companies the manager thinks have good growth prospects, despite what’s going on in the wider economy or politics, has worked well for the fund over the long term. This isn’t a guide to how the fund will perform in future though. Chris Rice looks at what’s going on in the economy. He then aims to identify the next stage of the business cycle and invest in companies he thinks will perform best, including some higher-risk smaller companies. Chris Rice is currently cautious and thinks European economic growth is slowing down. So he’s focused on companies he thinks will hold up better in this environment, including healthcare and telecoms companies. Over the past couple of years this hasn’t been the right call. But markets have been weaker in recent months and his approach has worked well. We think this fund could prove valuable when stock markets hit a rough patch and we like that it does something different to a lot of others in the European sector. This fund aims to track the performance of the FTSE World Europe ex UK Index. It’s a low-cost way to invest in a broad range of European companies. This fund provides a straightforward way to invest in lots of different companies from across the continent. It currently invests in more than 500 companies. Some of its largest investments include food and drink company Nestlé, tech company Siemens and healthcare company Novartis. Legal & General is a respected tracker fund manager with a good record of tracking indices efficiently. The managers use a recovery investment style. They invest in companies that’ve been through a tough patch, but have the potential to recover and subsequently see their share prices rise. Andrew Lyddon and Andrew Evans took over management of this fund in May 2018 and changed the way it’s invested. They’ve run several other European funds since 2016. This is over a short period of time, and we'd prefer the managers to build a longer record that we can analyse and make a full assessment of their skills. For this reason the fund doesn't currently feature on the list of our favourite funds. Barry Norris aims to invest in companies that’ll deliver better-than-expected earnings growth. He tends to hold relatively few companies and has the flexibility to hold smaller companies. These factors increase risk. We removed this fund from the Wealth 50 earlier this year. We prefer managers with an ability to invest in some of the market's strongest-performing companies, regardless of what sector or country they're located. But our analysis shows Barry Norris’s stock-picking has been weak in recent years. The fund is also currently priced at a significant premium to others we think have better long-term prospects. The European sector is very competitive and we currently have more conviction in other managers. 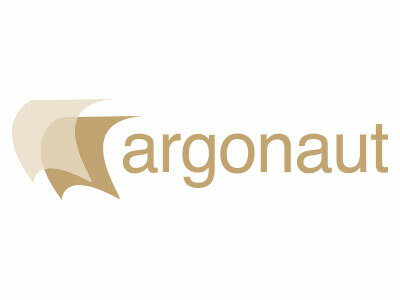 It's been a tough year for the FP Argonaut European Alpha Fund. Find out more about what's impacted performance. Find out how Jupiter European's performed over the past year, and what changes Alexander Darwall's recently made to the fund. We view this fund as a more conservative option in the Europe sector, which could help provide some balance during more uncertain times. 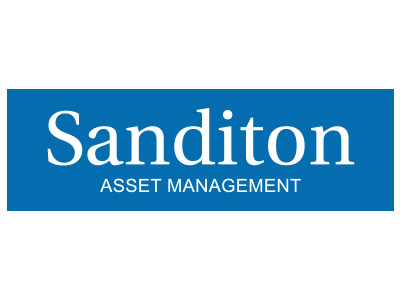 TM Sanditon European - is Europe slowing down? Chris Rice currently has a cautious outlook for the growth prospects for most global economies, including Europe. Find out how he's invested the fund because of this view. 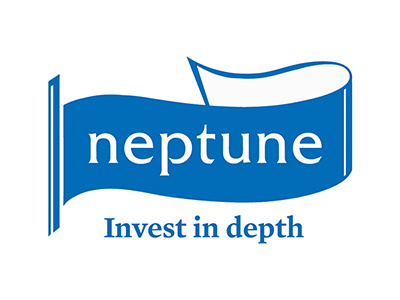 Rob Burnett will stop managing the Neptune European Opportunities Fund at the end of this year. He’s leaving the company to set up his own business.